Lagos Television (abbreviated LTV), or Lagos Weekend Television (abbreviated LWT, UHF channel 35, also known as LTV 8)  is a state owned television station in Ikeja, Lagos, Nigeria. Lagos State Television was established in October, 1980 and was the first Television station in Nigeria to operate on two frequencies / bands VHF and UHF but now on UHF channel 35 and the first state owned Television station on cable satellite DSTV channel 256 and later on Startimes channel 104. Ikeja is the capital of Lagos State. Prior to the emergence of military rule in the early 1980s, Ikeja was a well planned, clean and quiet residential and commercial town with shopping malls, pharmacies and government reservation areas. The Murtala Mohammed International Airport is located in Ikeja. Ikeja is also home to the Femi Kuti's Africa Shrine and Lagbaja's Motherlan'; both venues for live music. It now boasts a shopping mall, Ikeja City Mall, which is the largest mall in the Mainland of Lagos State and also has a cinema. DStv is a Sub-Saharan African direct broadcast satellite service owned by MultiChoice. The service launched in 1995 and provides multiple channels and services to their subscribers, which currently number around 11.9 million. The majority of subscribers are in South Africa and Nigeria, with Kenya, Ghana, Angola, Zimbabwe, Zambia, Uganda, Mauritius, Mozambique, Tanzania, Lesotho, Ethiopia, the Republic of the Congo, the Democratic Republic of Congo, Gabon, Swaziland and Botswana additionally served by the company. WFGX, virtual channel 35, is a MyNetworkTV-affiliated television station serving Pensacola, Florida and Mobile, Alabama, United States that is licensed to Fort Walton Beach, Florida. The station is owned by the Sinclair Broadcast Group, as part of a duopoly with Pensacola-licensed ABC affiliate WEAR-TV ; Sinclair also operates Mobile-licensed NBC affiliate WPMI-TV and Pensacola-licensed independent station WJTC under a local marketing agreement with owner Deerfield Media. KMEX-DT, virtual and UHF digital channel 34, is a Univision owned-and-operated television station licensed to Los Angeles, California, United States, serving as the West Coast flagship station of the Spanish-language network. The station is owned by the Univision Local Media subsidiary of Univision Communications, as part of a duopoly with Ontario-licensed UniMás West Coast flagship KFTR-DT. The two stations share studios on Center Drive in West Los Angeles; KMEX's transmitter is located atop Mount Wilson. Since its debut in 1962, the station has been a pioneering Spanish-language station, paving the way for other such stations and networks in the United States. WMVT, virtual channel 36, is a Public Broadcasting Service (PBS) member television station licensed to Milwaukee, Wisconsin, United States. The station is owned by Milwaukee Area Technical College, which also owns sister PBS member station WMVS. The two stations are collectively branded as "Milwaukee PBS". WMVT and WMVS share studio facilities located at the Continuing Education Center on the Milwaukee Area Technical College campus on North 8th Street in downtown Milwaukee, and transmitter facilities located on North Humboldt Boulevard in Milwaukee's Estabrook Park neighborhood. WFNA, virtual channel 55, is a CW-affiliated television station serving Mobile, Alabama and Pensacola, Florida, United States that is licensed to Gulf Shores, Alabama. The station is owned by the Nexstar Media Group, as part of a duopoly with Mobile-licensed CBS affiliate WKRG-TV. The two stations share studios with several radio stations owned by iHeartMedia on Broadcast Drive in southwest Mobile; WFNA's transmitter is located near Robertsdale. WNJU, virtual channel 47, is the Spanish language Telemundo television station, licensed to Linden, New Jersey and serving the New York metropolitan area. WNJU is owned by NBCUniversal Owned Television Stations as part of a duopoly with WNBC. WNJU maintains studios and offices in Fort Lee, New Jersey, with transmitter located at One World Trade Center. WVIT, virtual channel 30, branded on-air as NBC Connecticut or NBC CT, is an NBC owned-and-operated television station licensed to New Britain, Connecticut, United States and serving the Hartford–New Haven television market. Owned by the NBC Owned Television Stations subsidiary of NBCUniversal, it is a sister station to Hartford-licensed Class A Telemundo owned-and-operated station WRDM-CD. The two stations share studios on New Britain Avenue in West Hartford and transmitter facilities on Rattlesnake Mountain in Farmington, Connecticut. On cable, WVIT is carried primarily on channel 4 throughout the Hartford–New Haven television market. Idaho Public Television is a Public Broadcasting Service (PBS) member network serving the U.S. state of Idaho. Consisting of five television stations, it is operated and funded by the Idaho State Board of Education, an agency of the Idaho state government that holds the licenses to all PBS member stations in the state. The network is headquartered in Boise, with satellite studios at the University of Idaho in Moscow and Idaho State University in Pocatello. The Nigerian Television Authority – also known as NTA is a Nigerian government-owned and partly commercial broadcaster that was inaugurated in 1977. At inauguration it had a monopoly on television broadcasting in the country. The NTA runs the biggest television network in Nigeria with stations in several parts of Nigeria. Formerly known as Nigerian Television (NTV), the network began with a takeover of regional television stations in 1976 by the then Nigerian military authorities, and is widely viewed as the authentic voice of the Nigerian government. NTA's monopoly was broken in the 1990s. KQCA, virtual channel 58, is a MyNetworkTV-affiliated television station serving Sacramento, California, United States that is licensed to Stockton. The station is owned by the Hearst Television subsidiary of Hearst Communications, as part of a duopoly with Sacramento-licensed NBC affiliate KCRA-TV. The two stations share studios on Television Circle in downtown Sacramento and transmitter facilities in Walnut Grove. Latvijas Televīzija is the state-owned public service television broadcaster in Latvia. 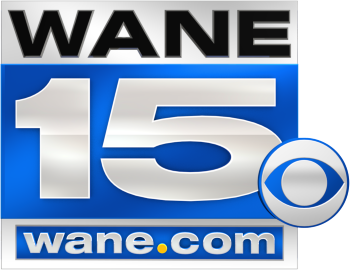 WANE-TV, virtual channel 15, is a CBS-affiliated television station licensed to Fort Wayne, Indiana, United States. The station is owned by Nexstar Media Group. WANE's studios and transmitter are located on West State Boulevard in the Tower Heights section of the city. WNYF-CD is a low-powered, Class A Fox-affiliated television station licensed to Watertown, New York, United States and serving upstate New York's North Country. It broadcasts a high definition digital signal on UHF channel 35 from a transmitter along NY 126/State Street on Champion Hill. KOZK, virtual channel 21, is a Public Broadcasting Service (PBS) member television station licensed to Springfield, Missouri, United States. The station is owned by Missouri State University. KOZK's studios are located on the Missouri State University campus on National Avenue in southern Springfield, and its transmitter is located on Switchgrass Road/Highway FF in rural southwestern Webster County. WNYJ-TV, virtual channel 66, was an independent non-commercial educational television station licensed to West Milford, New Jersey, United States. The station's transmitting facilities were located in West Orange, New Jersey. Its broadcast license was owned by the Oakland, California-based Christian broadcast ministry Family Stations, who from 1996 through 2013 operated it as WFME-TV, a religious television station. KRSU-TV, virtual channel 35, is an educational independent television station serving Tulsa, Oklahoma, United States that is licensed to Claremore. The station is owned by Rogers State University. KRSU-TV's studios are located at the university's campus on West Will Rogers Boulevard in Claremore, and its transmitter is located to the adjacent southeast of Oologah Lake in northern Rogers County. On cable, the station is available on Cox Communications digital channels 86 and 1086 and AT&T U-verse channel 35; it is also available on satellite on Dish Network and DirecTV channel 35. The Nigerian Premier Basketball League, often abbreviated to the NPL, is the pre-eminent men's professional basketball league in Nigeria. The league consists of sixteen teams who are categorized into two conferences based on the geographical location. These conferences are Savannah and the Atlantic. The league was sponsored by the DSTV until 2017, who had both title and TV rights through the contract agreement. The league was then referred to as the DSTV Premier Basketball League. Channels Television is a Nigerian independent 24-hour news and media television channel based in Lagos, Nigeria. The parent company, Channels Incorporated, was founded in 1992, a year before the Nigerian government deregulated the broadcast media. It began broadcasting in 1995. Its primary focus is producing news and current affairs programs on Nigerian domestic issues. The Channel's mission is to act as a watchdog on governmental policies and activities. Rivers State Television, UHF channel 22 is a state owned television station in Port Harcourt city, Rivers State. It began its operation in 1985. Initially, the station's broadcasting power was 1 kW and signals were transmitted on UHF channel 55. After an upgrade in 1991, RSTV moved to UHF Channel 22 and had its radiated power boosted to 30 kW. Akwa Ibom State Broadcasting Corporation UHF channel 45, is a state owned television station in Uyo, Akwa Ibom. Akwa Ibom Broadcasting Corporation was established on April 4, 1988 and is the first and only local television station. AKBC provides both television and radio services. It transmits in 90.528MHZ. AKBC television transmits from Ntak Inyang. ↑ "State Televisions". Nigeria route. Retrieved 7 September 2014. ↑ "Fashola orders environmental Sanitation at LTV 8". Encomium. Retrieved 17 September 2014.